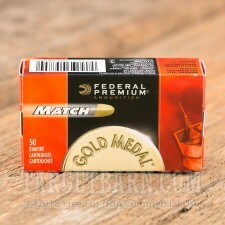 Federal Gold Medal rounds deliver an extreme level of precision for all your high-stakes target shooting needs. 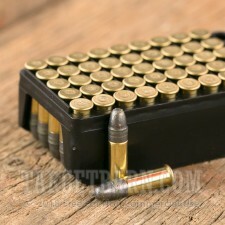 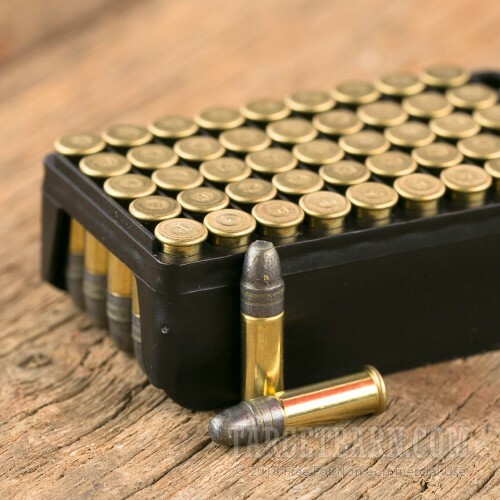 Each "brick" of 500 rounds is subdivided into 10 boxes of 50 rounds apiece. 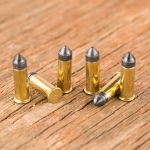 These cartridges fire a 40 grain lead round nose bullet at a muzzle velocity of 1,080 feet per second. This standard velocity load stops just short of breaking the sound barrier, avoiding the accuracy issues that can crop up with supersonic loads. 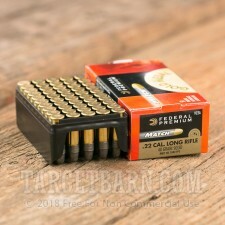 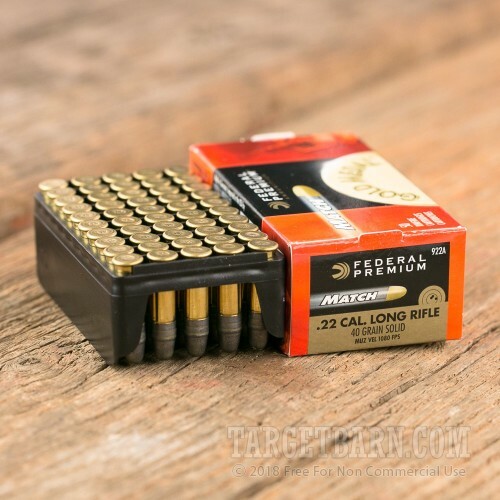 This ammunition is loaded at Federal's headquarters in Anoka, Minnesota using rimfire-primed brass cases.